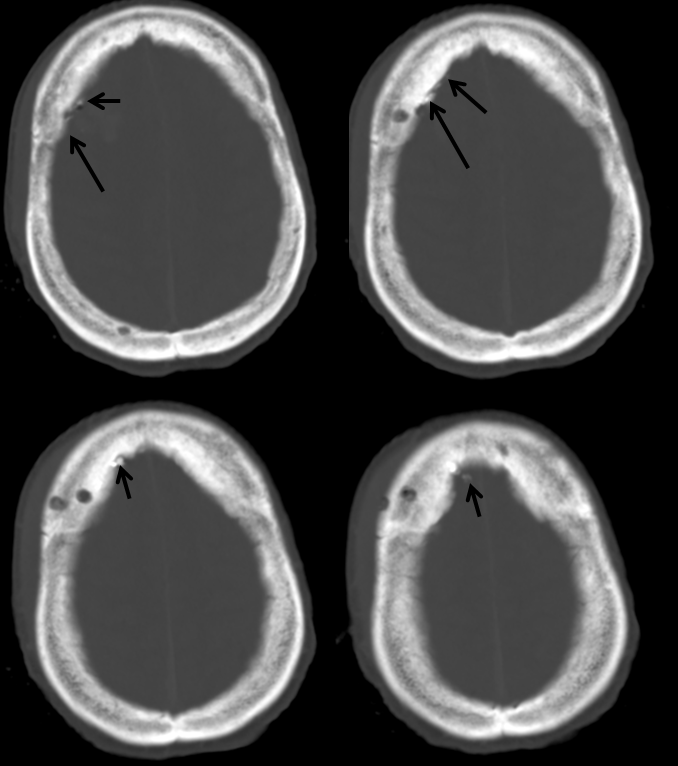 According to my neurosurgical source, Dr. Matthew Potts, the incidence of track hemorrhage during EVD placement is ~10%, of which ~1% will be clinically significant. The etiology is, I believe, usually ascribed to disruption of brain veins and maybe arteries, which is intuitive. 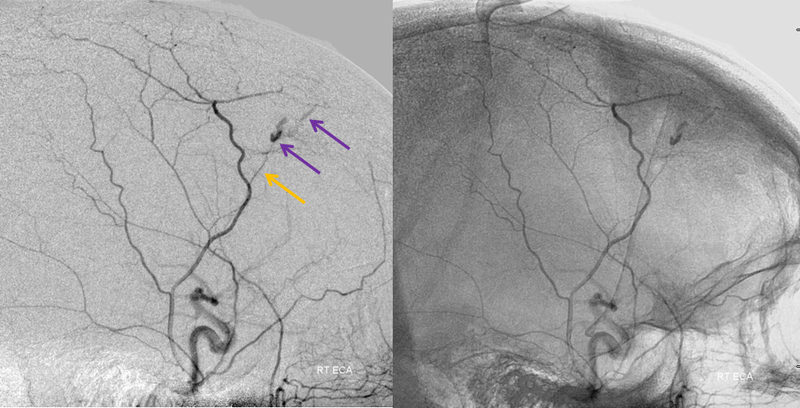 A patient underwent diagnostic cerebral angiography for evaluation of a spontaneous large subdural hematoma (red, also involved infratentorial compartment) and EVD placement through the more medial of the two burr holes (yellow). 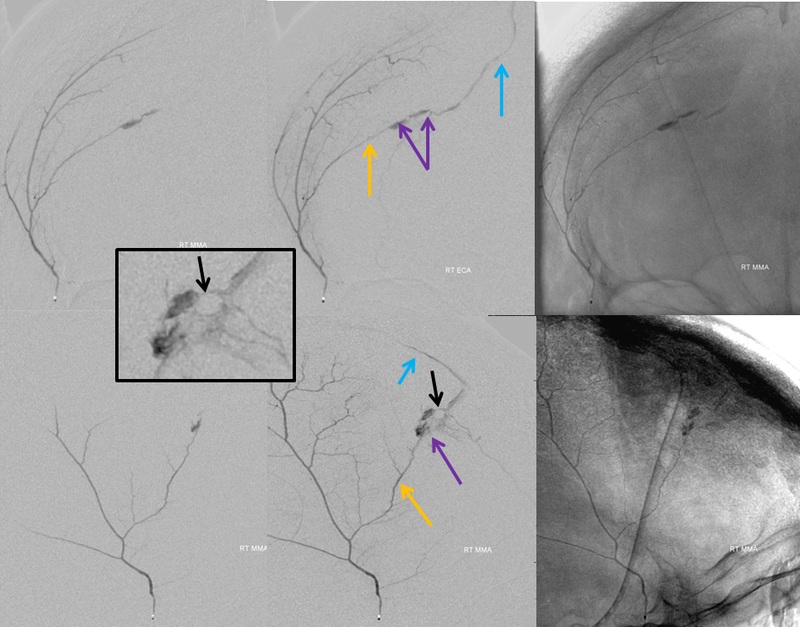 Microcatheter injection before nBCA, again showing the extravasation; a communication with a vein directed towards the superior sagittal sinus is present (blue). Notice how the pooled contrast material oulines the burr hole (black arrow). Glue cast images below, with microcatheter advanced as close as possible to the area of extravasation, with glue setting on both arterial and venous sides. 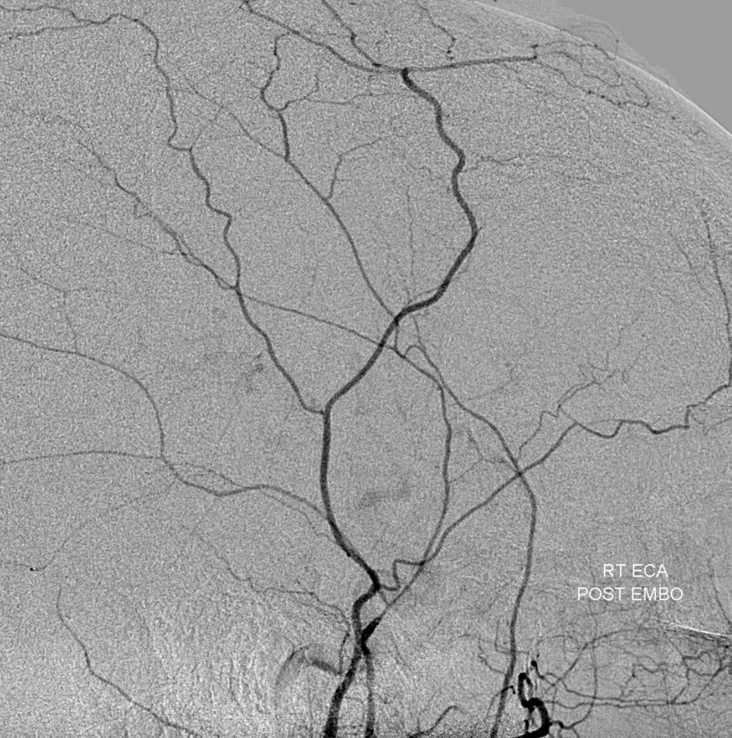 Another instance of the more unusual role for cerebral angiography; to what extent should we look for these injuries? Case courtesy of Dr. Tibor Becske, NYU Langone Medical Center.